There are thousands of free and premium WordPress themes on the market. It might be hard to choose one. And before you make a choice, think of how a theme would affect your website credibility. Professionally looking themes work for website credibility. Broken images, fonts or links, messy design create an impression of a poorly organized business. The harder to make your prospects trust you, the more professional and thought-out your theme should look. You can use free themes for a small blog or websites about your hobby. But if you plan to reach out some large audience, better think of choosing a premium WordPress theme which is well-supported and can be easily customized to your needs. If your audience are teenagers, they are not going to respond to a corporate website. If you sell pizza, your website should not look like you sell jewelry. Your website design can be compared to your clothes. You wear suits in the office, and shorts on the beach because it is appropriate for the situation. Before you choose a theme, find out what your audience likes. You can take a look at your competitors’ websites or browse social profiles of your prospects. if you already have a brand-book for your offline business, apply the same design to your website. Your clients should understand on the first glance that the website belongs to your company. If you use different styles and colors for your website, it will look like a fake. People won’t like to make purchases on such a website or trust the information on it. You need to make sure that your website loads fast, especially on mobile devices. You might want to use less images and plugins to make your pages load fast. It is necessary to write your office address on your website. But the contact information will look more credible if you add a piece of map on your contact page. It will prove your clients that your address is real. Also it will be easier for clients to find directions to your office. Website credibility is important for your online sales, and choosing the right theme is a big step towards it. When you think of monetizing your blog, and you do not have any products to sell, affiliate marketing may become your main source of income. If you are not familiar with it yet, read the article below, and start implementing it today! Affiliate marketing is a way of making money online in a form of a reward for promoting some products and services. For example, if you own a blog about WordPress themes and plugins, you may join SoloStream’s affiliate program and advertise its premium WordPress themes to your audience. You get paid every time when your readers buy anything on the SoloStream’s website. For example, when one of your referrals purchases a lifetime membership for $299, you earn over $100 at once! It is even more profitable to promote subscriptions. While you get paid only once for a one-time purchase, for recurring subscriptions you will be receiving money every time your referrals pay. For example, when your reader subscribes for the SoloStream’s Silver planfor $99/quarter, you will be receiving $14.95 every quarter, for as long as your referral pays. The numbers look really great, and it may seem that you can earn pretty much with no effort. 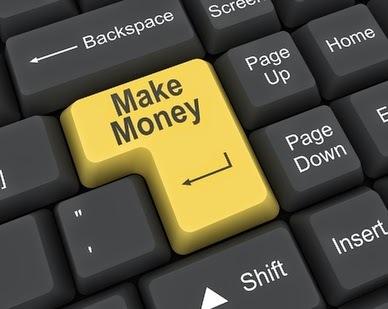 It is really easy to make some extra money, but only if you are doing it right. You need to follow some basic rules to make the best of your affiliate partnership. The advertised product should be relevant to your start a blog content. If your blog is about car tuning, it is useless to promote tableware or a website hosting. If you write about WordPress, your perfect products would be WordPress themes and plugins. Every time you advice any products to your readers, check if the company providing it offers an affiliate program. You must be an expert in your area. 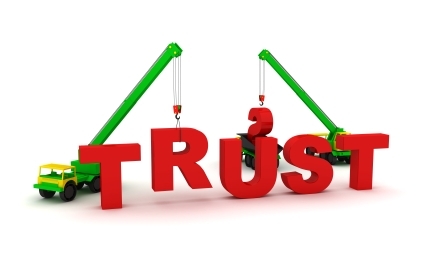 Your audience should trust your opinion, otherwise they are unlikely to click on your links. You need good traffic on your blog. Obviously your chances to earn are higher, when your blog is visited by a thousand people a day rather than ten people. Think of topics that are interesting to wide audience, and remember about SEO and promotion. Try various promotion ways to find what works better for you. You can add a link to your blog post, or write a dedicated article, describing your products, use banners and widgets. Find the balance between imperceptible ads and annoying ads to create an efficient promotion. Follow the above rules to start earning on your blog, and check out SoloStream’s affiliate program. WordPress today is not a simple blog platform, but a powerful content management system, that allows creating fully functional websites. WordPress websites today are widely supported and beloved of both web developers and non-programmers. Many facts explain this attitude. Open source means that you can download, install, use and modify the source code for free. It is available for anyone to study and play with it. That is why it is a community software. Anyone can contribute to WordPress by developing plugins, translating it, answering support questions. Near 20% of all websites use WordPress today, so you will not be alone, and it will be easy to find help. Many hosting providers offer quick installation of WordPress, so you do not need knowledge of hosting administration. Many web hosting companies optimize their hosting for seamless work with WordPress. There are a few thousand themes developed for WordPress, and you can chose any of them. 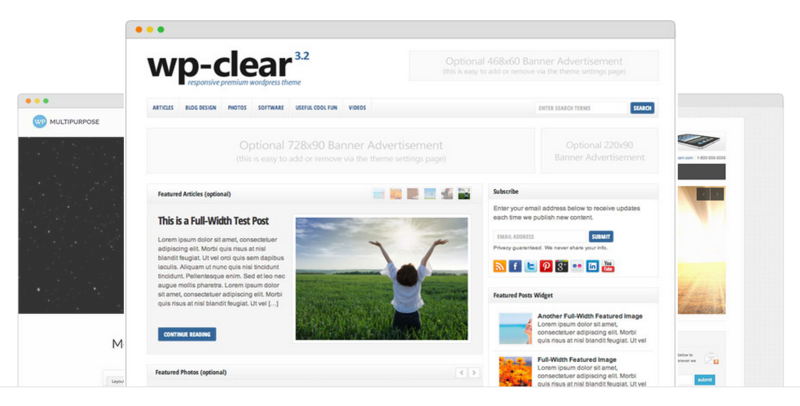 Solostream offers both free themes and premium WordPress themes. You do not have to be a web designer, or hire one, to set up a website, you can install any theme yourself. Another great thing about WordPress themes is responsiveness. If you choose a responsive WordPress theme, it will automatically scale on mobile devices and tablets. You can find almost everything you can imagine already developed for WordPress. Just choose WordPress plugins that you need, add them to your website, and you are ready to go. If you need something special for your website, it will be easy to find a developer who can create it for you. Search engine optimization affects your position in search results on Google and other search engines. WordPress websites are attractive for search engines, but if you need more, you can install SEO plugins. Creating articles in WordPress is as easy as creating them in Word. You do not need programming experience to update content on your website. Modern websites include various content, such as texts, banners, images, video, audio. WordPress allows easily upload and organize any type of content with no effort. You can embed YouTube videos, Instagram photos, Tweets by just pasting the URL in your post. New websites often do not need many features. But as your resource grows, you can easily expand it, adding more components. You can even create an e-Commerce store based on WordPress. Millions users prove that WordPress is a perfect platform for your website.